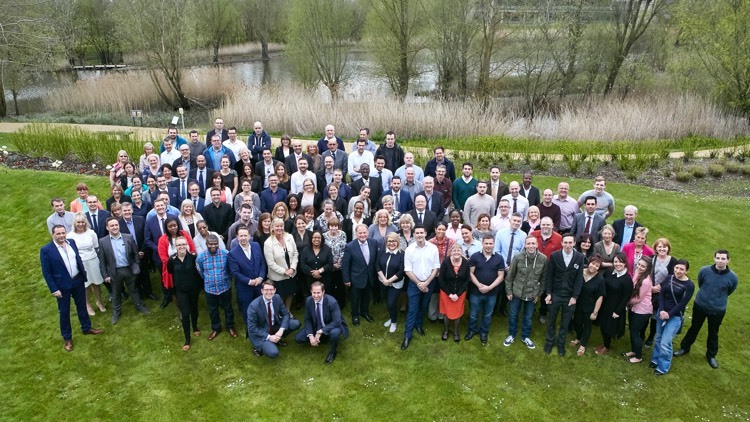 It never ceases to astound us when we have an AGM that there is a great sea of smiling faces – all of whom work very hard for us whilst working to deliver a difference to our customers and their colleagues every day. Our amazement, as the owners, is that when we started out having AGMs it was in a small meeting room, where a dozen or so gathered. We have finally come to the conclusion that we now have too many great people to fit in our normal venues, what a lovely challenge to have! Last week we unveiled to our team our ‘brand wheel’ which really tried to encapsulate the essence of the company and to help those who join us as newbies, to really understand what we are about. We are very keen to make sure the passion and interest in ‘The why’ we started the business is delivered with as much passion as we had when we first started. We felt it was important to distill our essence and explain why certain ways and standards are important to us. Our meeting was full of news of our successes, (including recent awards and the prestigious gold Investors In People award) We then moved onto what bartlett mitchell is about and did a sense check with our team to see how they felt we measured up to our values, using a great system called Vox Vote. It was just like being at X Factor. Fortunately we had overwhelming positive affirmation that we live our values and the team believe in them as much as us – phew that’s a relief!